Your marketing budget is too small to consider using any of the great marketing tools available to grow your business. You have no budget to send your customers a proper thank you for their business. Potential customers choose other businesses time and again because they can offer great incentives just for having an estimate done. Your customers aren't talking about your business to their friends, family and colleagues because your lack of a promotion keeps you from standing out in their minds. It’s not your fault. Until now, promotions like you’re about to learn about have only been available to large companies with large marketing budgets. 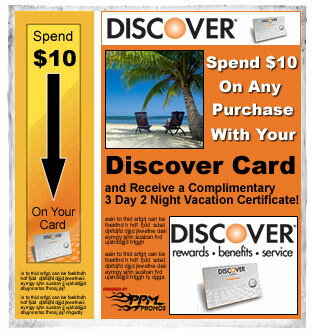 We can show you how to get access to those same promotions at a price that meets your small marketing budget. So how will my business be different as a result of PPM Premium Promotions? 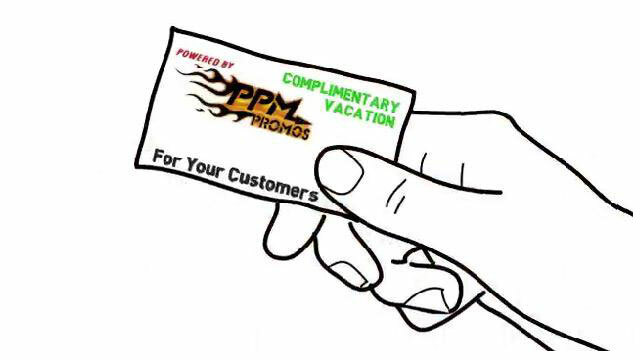 You will be able to give away travel, restaurant and grocery certificates that will have your customers talking about your business and potential customers signing up to do business with you in no time. This sounds too good to be true – is it a scam? 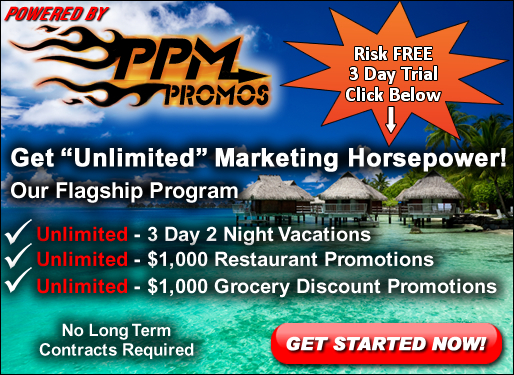 Would Wells Fargo, Capital One, Discover and other Fortune 500 companies use our promotions to successfully increase their sales if this were a scam? Incentives work and they always have because it is programmed into our consumer DNA to seek the best deal. Premiums will help you separate your business or your product offerings in ways that are meaningful to your customers. Just like a free sample at Costco one of our promotions do the important job of redirecting ones attention where you want it at that very moment. The premium separates your offering from everything else at the key moment when you need it to most. One should never read too much into the incentives or see them through your own view point as a business owner. It is truly ok if you don't like what you perceive as a gimmick just as long as you don't make the mistake of deciding what constitutes value in the customers mind. The first rule in marketing is to facilitate a customer's decision to do business with you. In any business we can never obtain new customers until we do one very important thing. Get their attention! Like a free hot dog at an open house a lot of the time, premiums are meant to draw a prospects attention so that you get the opportunity to sell or market your core products or services which should then stand on their own merits. The extra value our premiums offer is simply a bonus! So, what are you waiting for lets get your business on the road to more sales and profits today! It is low risk and no long term contracts are required! YES! Please give me instant access to the "5 Reasons Why Promotion Certificates Work" Report.